Position2 accelerates demand through integrated content marketing, paid acquisition, and marketing technology solutions. They build websites, run SEM and lead acquisition campaigns, cover media buys, automation campaigns, and build content. With 200 employees in Palo Alto and Bangalore, they are a one-stop shop for digital services but had a bit of trouble managing their data. That’s where Divya Krishnan, Associate Director, Marketing Analytics, came in. Upon implementing Sisense, Position2 saved 30 hours per month per client in report generation time. Before Sisense we could spend 30 hours per month per report for our clients. Now, with Sisense, the KPIs reporting is automated and we spend more time in analysis and planning recommendations. Initially, Position2 was running campaigns for their clients that were not integrated to reporting, so in order to generate reports, they had to manually pull data and create Excel spreadsheets and PowerPoints. As they grew, Divya realized this was not scalable and that their clients needed more granular reporting in order to see the entire funnel of a campaign. Position2 had a legacy reporting tool that they were using in a limited way but couldn’t meet their needs. Their data, coming in from all different sources, was siloed leaving them without a single source of truth. Consolidating the data was top priority. On top of this, the reports they were sending looked unprofessional and they needed a way to create reports that we both beautiful and easy to understand. 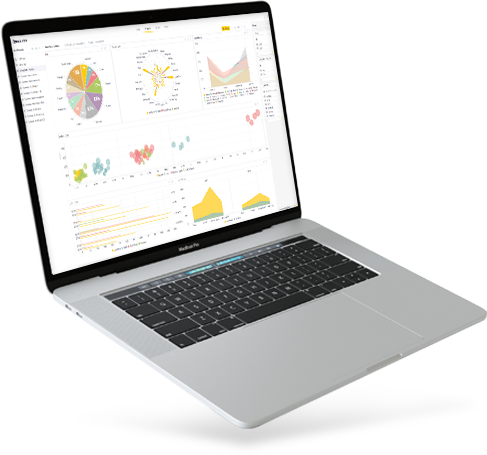 Look and feel – The tool had to have beautiful visualizations that were also functional and easy to understand. Single stack – In order to avoid having to use multiple people and multiple tools Position2 needed a tool that could do it all. This spans the full Extract, Transform, and Load (ETL) process. Connectors – Whatever tool they chose, Position2 wanted to make sure they had a full library of connectors available so that they were able to bring in any and every data source they needed. Position2 was facing a few different challenges surrounding one of their largest clients. First, the only data they were able to report were very high-level numbers, which left people unable to look at all of the data that was available. On top of this, internally, because there are so many people working on the account, each person would end up so focused on their own tasks that sometimes it became hard for them to see the full picture. After sharing the new Sisense dashboard with their internal team, they could suddenly see the entire picture more clearly. Divya explains that the team assigned to the large client could finally see granular information and go back in time to see trends over time. They were also able to see performance across different verticals and slice and dice the way they needed. Seeing data in the new way allowed the Position2 team to make some immediate changes to the campaign they were running. They changed the design and messaging of the microsite because they could see visitors were clicking and sections that were not meeting the core objectives of the site. They could also see, in nurture emails related to the campaign, where there was a drop off in engagement and what kind of content was more engaging for recipients. Again, trends they had never had access to before. Sisense is very powerful. 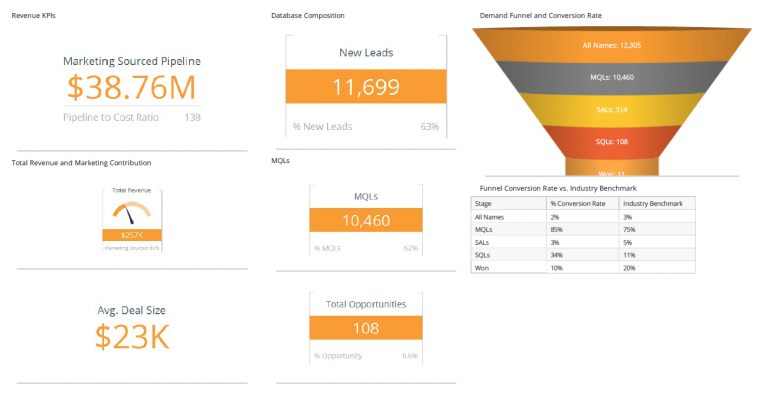 We could merge data across media buys and marketing automation. We could identify performance of specific vendors and switch budgets. Analytics was clearly driving performance. 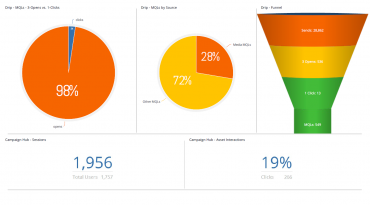 Divya explains that, aside from uncovering new insights that have led to changes in how they run campaigns, the biggest benefit from Sisense has been the time saved in creating reports. Position2’s clients get sent weekly and monthly reports, which are created per vertical and channel, region, device, etc. Getting all of those reports together used to take 30 hours per month per report because they had to pull out the data manually and then create presentable reports. Now, with Sisense, Divya built the dashboards once and that was it. There’s no more reporting work involved. 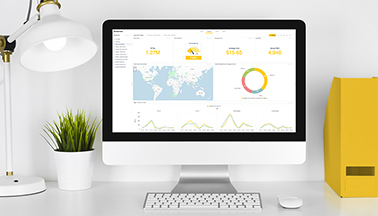 Teams simply take screenshots of the dashboards, write a short report summary and send to customers. With all the time saved, they have been able to focus on squeezing even more out of Sisense by gathering additional data points, looking at the data in a different way, and making sure everyone is onboarded and getting what they need.